The Chief Accounting Officer of Ener1, who is also the Chief Financial Officer of subsidiary EnerDel, Melissa Debes, also resigned on October 25, 2011. Departure of the CFO, follows the departure of Ener1’s longtime CEO and director of the Board of Directors, Charles Gassenheimer, who resigned on September 30, 2011. One of the big problems at Ener1 was its support of electric car maker Think. Ener1 was forced to write down a $59.4 million impairment charge for its investment for the first quarter of this year, after Think headed into bankruptcy. A Russian investor ended up buying up Think’s assets, but that was the third time the company declared bankruptcy over its long history. Then Ener1 faced some accounting weirdness. The company gave a preliminary restatement of its revenues and net income for 2010, and the first quarter of 2011, and said its net loss for 2010 was $165.32 million, which is almost a $100 million more than its previously stated net loss for 2010 of $68.80 million. 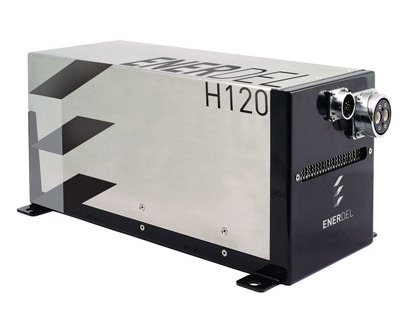 Ener1 is the parent company of EnerDel, which if you remember back to the Summer of 2009, received a $118 million grant from the Department of Energy’s $2.4 billion Electric Drive Battery and Component Manufacturing Initiative. EnerDel received the funds to help it build a factory that would produce batteries for electric vehicles. The DOE told Inside Indiana Business that EnerDel has received $55 million of the grant, and that the DOE is closely watching Ener1 and EnerDel. On a Monday that also saw the bankruptcy of DOE loan winner Beacon Power, you can bet that House Republicans will closely be watching Ener1 and EnerDel now, too.